LAS VEGAS, NV--(Marketwire - January 5, 2011) - CES -- Celebrating its one year anniversary, Ingram Micro Inc.'s (NYSE: IM) Consumer Electronics (CE) Division today announced it has been selected as the exclusive U.S. distributor for Signeo USA's new line of personal audio products -- SOUL by Ludacris®. Available soon in U.S. retail and online e-tail stores, the new brand of designer headphones were created in collaboration with the Grammy winning and globally renowned artist Chris "Ludacris" Bridges, and will debut nationwide with an initial five-model line-up of high definition headphones. The SOUL by Ludacris collection will be supported exclusively by Ingram Micro's CE Division and made available via select U.S. retailers and e-tailers in early 2011. "Launching new and existing brands, products and vendors into the retail market is a signature service of Ingram Micro and our CE Division," says Brent McCarty, executive director and general manager, Ingram Micro's CE Division. "Our expertise and experience in the retail sector and proven capabilities around logistics, distribution and market development lay a strong foundation for Signeo's new SOUL by Ludacris line and play a critical role in its go-to-market strategy." "This is a significant launch for Signeo USA, which is why we've selected the most reputable consumer electronics distributor in the business to bring SOUL by Ludacris to retailers and e-tailers nationwide," says Bob Bonefant, executive director, Signeo USA. "Our exclusive relationship with Ingram Micro gives us the ability to scale our business quickly as the market demands for SOUL by Ludacris build. We also gain peace of mind knowing Ingram Micro will maintain and protect price integrity across all our retail partners and provide us with the resources and support needed to expand our reach and accelerate demand." Under the terms of the new agreement, Ingram Micro is managing the logistics and distribution of the new SOUL by Ludacris high-definition headphones. The distributor is also responsible for ensuring the right strategies and tactics are in place to effectively manage pricing and demand generation activities among Internet retailers, as well as legacy brick and mortar retailers. 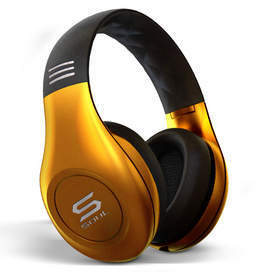 Retailers and e-tailers interested in carrying the new line of SOUL by Ludacris headphones should contact the Ingram Micro Consumer Electronics Division at 1-800-733-6766 ext. 5581 or email imcesales@ingrammicro.com. For more information about SOUL by Ludacris, visit www.SOULbyLudacris.com. Ingram Micro's Consumer Electronics Division is a leading national distributor of consumer electronics products, solutions and services. With more than 30,000 retail and e-tail customers nationwide, it is headquartered in Scottsdale, AZ and serves customers through distribution centers strategically located across the U.S. The Division carries a portfolio of more than 20,000 consumer electronics products from more than 400 manufacturers and offers the widest assortment of IT products, as well as same day shipping for orders placed before 5:00 pm PST. Ingram Micro's Consumer Electronics Division is an active member of CEA, CEDIA, PMA, PARA, NAMM and APRO. For more information please visit www.imce.com, www.ingrammicro.com or call 800.733.6766.